The Knowledge Exchange for Entrepreneurship in Permaculture (KEEP) project encourages and supports permaculture-inspired entrepreneurs. In particular we want to support new business start ups. We hope these web pages will increase the impact of the project and help improve permaculture business practice. They will help users to learn about the project, while benefiting from practical advice from those who have already started up permaculture-inspired businesses. We have also provided a range of case studies which we hope will be both informative and inspiring. The KEEP project is funded by a Research and Knowledge Exchange (RAKE) grant from the Institute for Small Business and Entrepreneurship. KEEP is led by Professor Audley Genus (of the Small Business Research Centre) and is a collaboration between Kingston University and the Permaculture Association (particularly its Research Coordinator Dr Chris Warburton Brown). 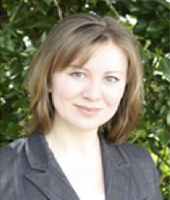 Dr Marfuga Iskandarova is the project’s research assistant. Audley Genus is YTL Professor of Innovation and Technology Management at Kingston University. He has research interests in the areas of innovation, community entrepreneurship and technology policy, and new approaches for stimulating ‘green’ innovation. His work has been funded by the EU and the UK research councils, amongst others. 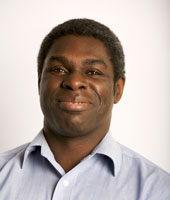 As well as being principal investigator on the KEEP project, Audley leads the project Institutional Entrepreneurship: Community Renewable Energy in England and is a member of the consortium conducting the Horizon 2020-funded project ENERGISE, which focuses on developing innovative interventions to reduce household energy consumption across the EU. His fourth book, ‘Sustainable Consumption, Design and Innovation’, was published by Springer in 2016. He is a member of the steering committee of SCORAI Europe, and has recently organised and chaired workshops on sustainable consumption and production at the Royal Society of Arts, London and on transition, transformation and social innovation, held at the Impact Hub, Vienna. 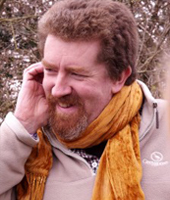 Chris Warburton Brown is the Research Coordinator of the Permaculture Association Britain. His diverse work includes projects on soil, climate change, biodiversity, forest gardens and enterprise. He is also Coordinator of the Permaculture International Reseach Network, which has 800 members across 70 countries. 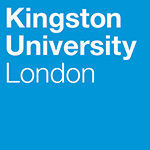 Marfuga Iskandarova is a Research Assistant at the Small Business Research Centre, Kingston University. She holds a First Class Honours Degree in Jurisprudence from the Bashkir State University, a LLM degree in Law and Sustainable Development from the University of Aberdeen and a PhD in Management Studies from the University of Exeter. Marfuga has expertise in the areas of innovation, renewable energy, energy policy, sustainability, and entrepreneurship. She has been working on a number of research projects, including the study of institutional entrepreneurship in community renewable energy in England, and the KEEP permaculture project. Working with Prof Genus, Marfuga is currently involved in a three-year ‘ENERGISE’ project funded by Horizon 2020 which investigates socio-economic, cultural, political and gender aspects of energy transition. Permaculture inspired enterprise – Chris Warburton Brown from Permaculture Association on Vimeo.